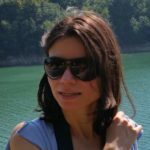 I’m Eugenia Cosinschi, a freelance WordPress developer. Pleasure to meet you! I built my first website back in 2000. It was written in HTML using Notepad and it (probably) looked awful but, at a time when only very few of my classmates owned a computer, I couldn’t have been more proud. From then on, I was hooked. After I graduated, I started working as a web designer and web developer, building websites from scratch. Fast forward a few more years and I was using WordPress for all my projects, enchanted by the flexibility it offered, both to the developer and the end user. Many years later, I’m still doing the same thing, using WordPress to build websites. WordPress has evolved, we now have WooCommerce, frameworks, multipurpose themes, custom post types… The options are so many, you could easily get lost. Or get seduced by the bells and whistles of some choices and end up with a site so heavy loading that it becomes useless. I’ll walk you through the options and keep you on track. I’ll let you know what features are useful and what features are just slowing down your site and losing you business. I have an eye for design, so I can help you make decisions, choices and visual improvements. If you’ve already found a theme you like, I can set it up and customize the theme for you so you can have a working WordPress website in no time, without having to struggle to make it look or behave in a certain way. Whatever you need, I can probably help. If not, I can at least refer you to someone who can.